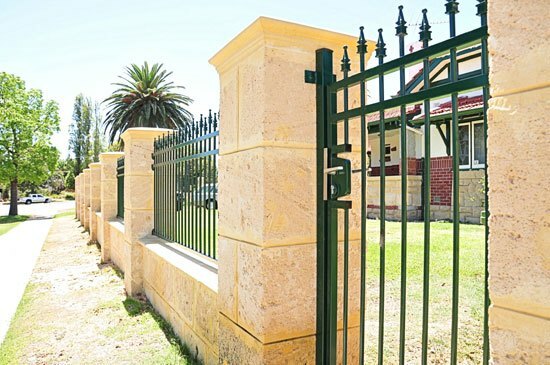 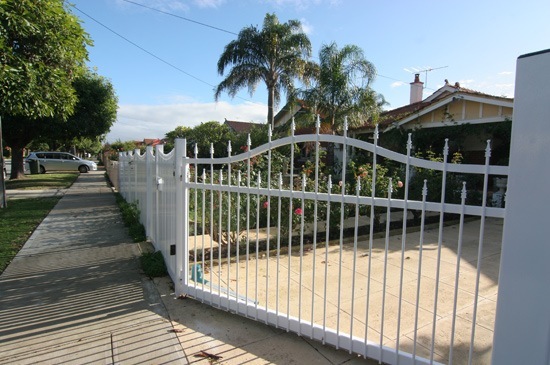 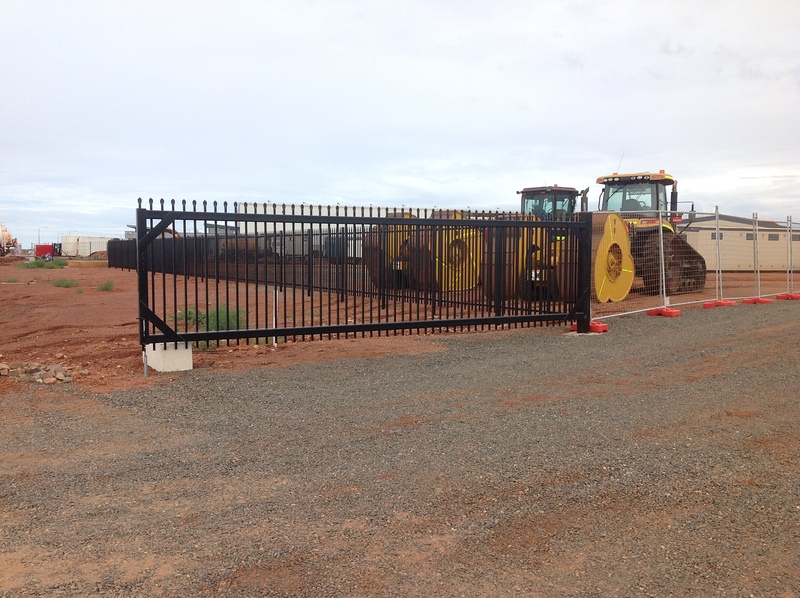 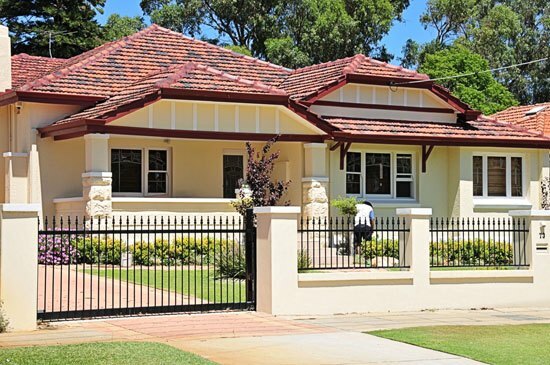 Fencemakers have been supplying security gates to customers in Perth and throughout WA for nearly 30 years. 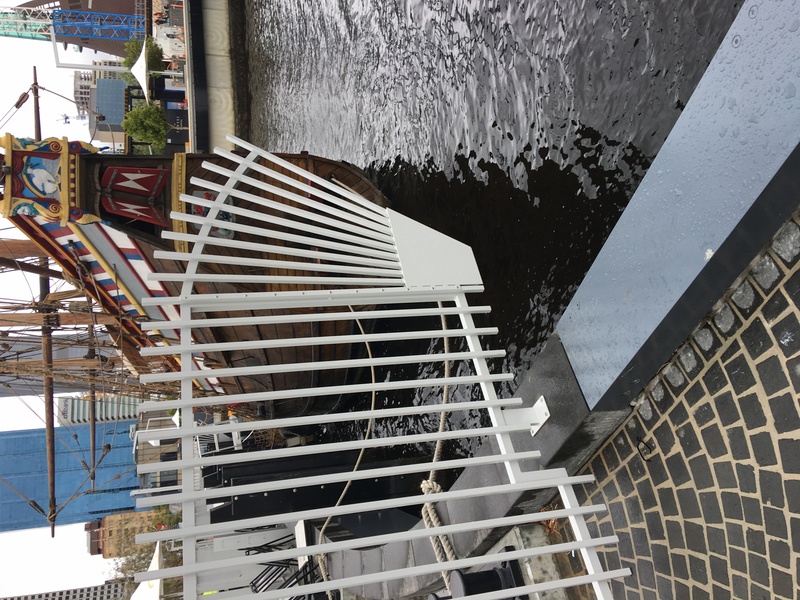 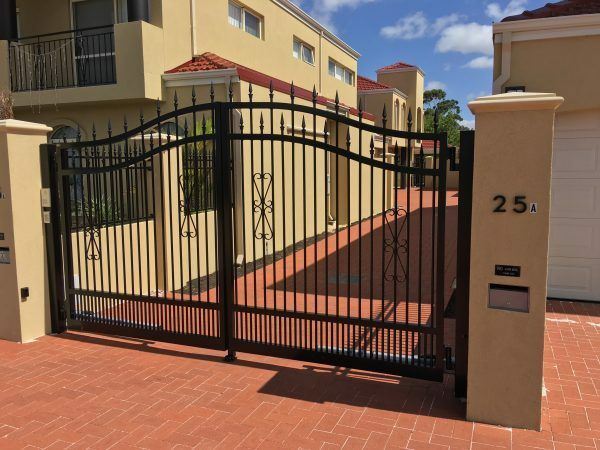 We specialise in the design, manufacturing and supply of high-quality, durable security gates to Perth’s residential and commercial properties. 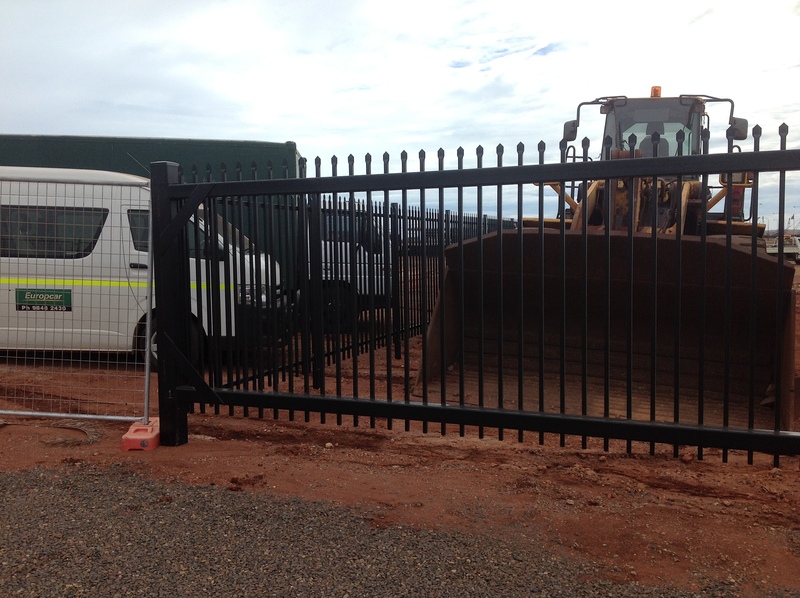 We also offer a full security gate installation service. 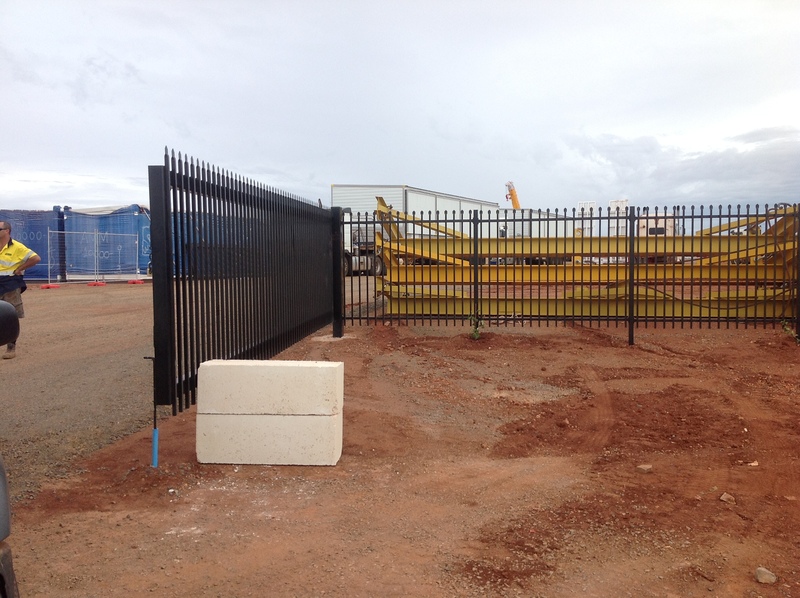 Guardian and Steel Security Gates: are ideal for Industrial and Commercial clients who require a tough, heavy-duty barrier to their premises. 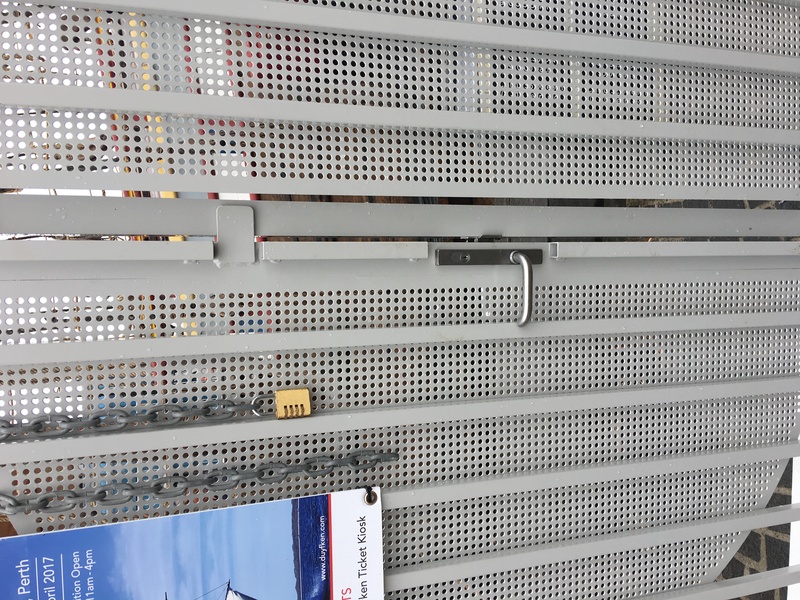 The tough steel pickets can prevent a targeted effort to enter the premises through the gate, while the spiked tips prevent trespassers from climbing over the gate. 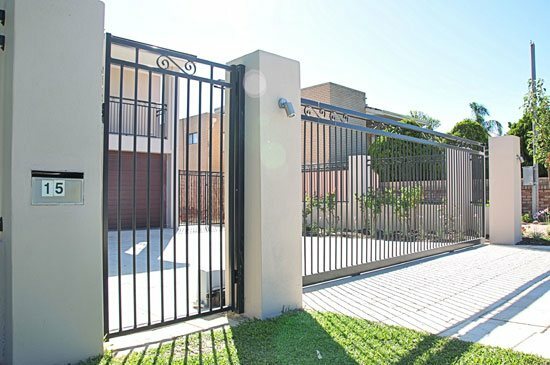 Aluminium Security Gates: for individual residential clients or gated communities that don’t require such heavy-duty security, we can offer custom-built aluminium security gates. 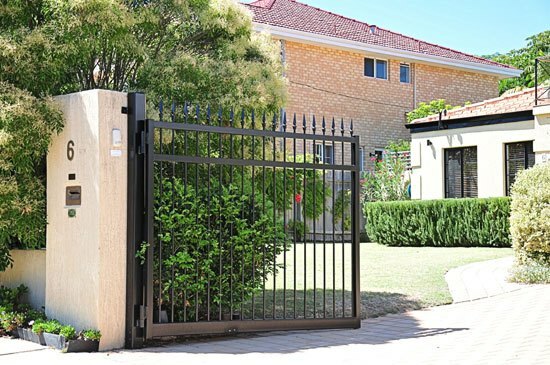 While they are not as robust as steel alternatives, this type of security gate can be more cost-effective and have a more attractive appearance than heavy duty steel gates. 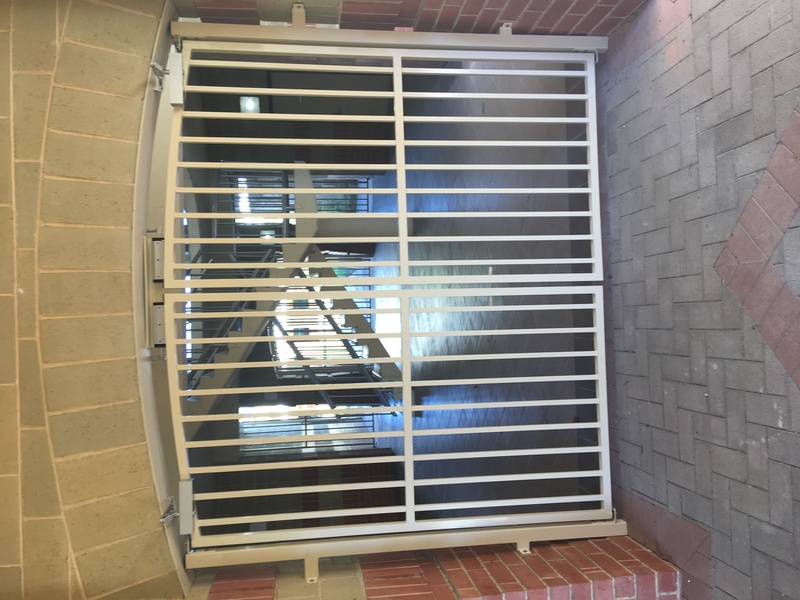 These gates will still provide the required level of security, and the pointed tips will prevent intruders from climbing over them. 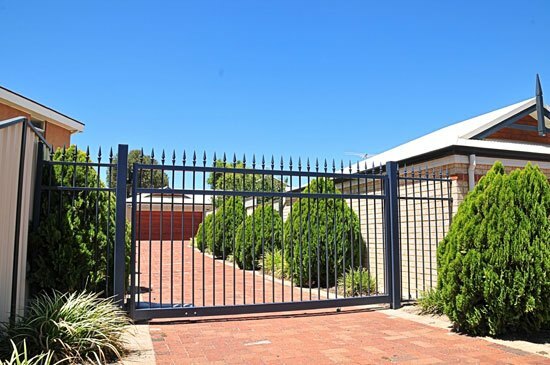 We can install both swinging and sliding security gates, with pin-pad, remote control openers, buzzer or intercom access. 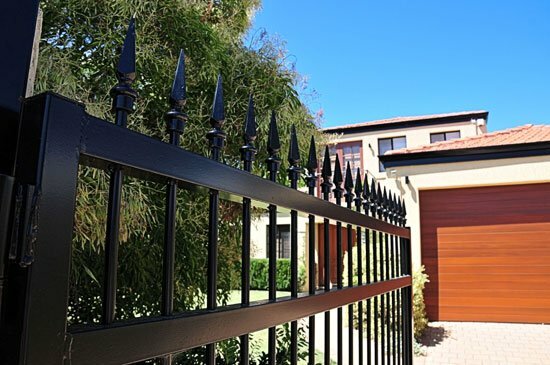 Installing security gates will add significant resell value to your home or business. 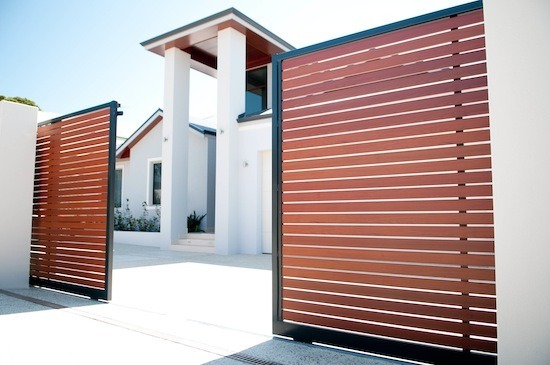 The gates will keep your family and home, or your business premises and stock safe from trespassers and intruders by blocking their access. 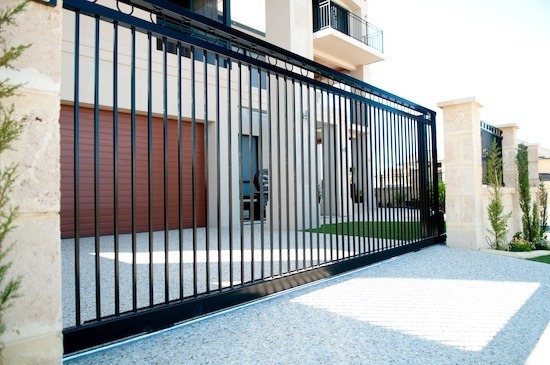 As well as physically protecting your property, having security gates fitted can deter opportunistic intruders from even attempting to access your property. 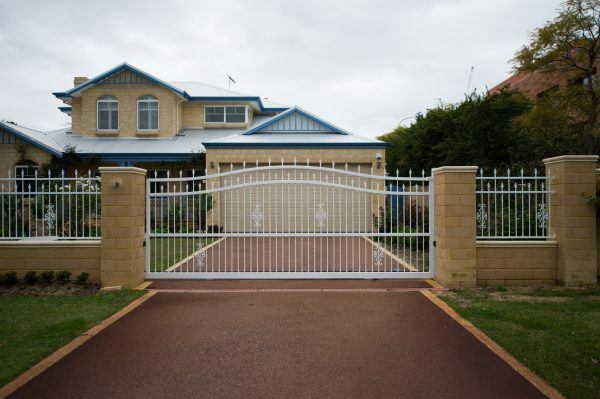 Our security gates can give your family a sense of security, particularly if you live in an isolated area. 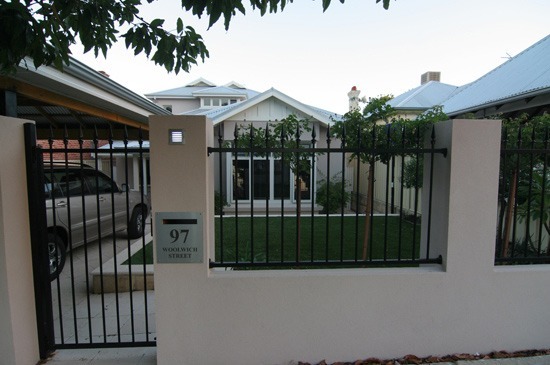 Intercom and buzzer access can be beneficial for those who are vulnerable or restricted with their mobility, such as the elderly. 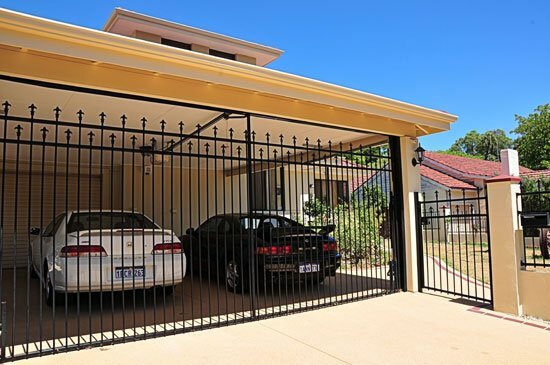 Not only can security gates keep intruders out, but you can rest assured they will keep your pets or children safe within. 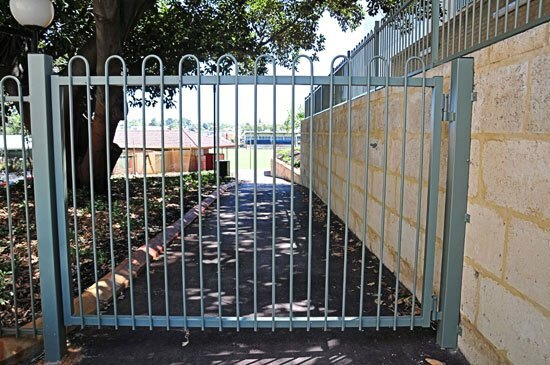 Pin-pad security gates are a good way to make sure young children don’t open the gate and walk onto the road when your head is turned. 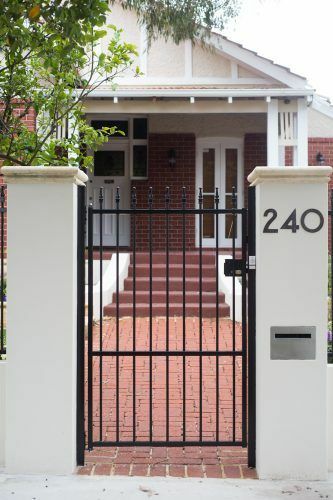 We can design, manufacture and install security gates to fit your specific needs. 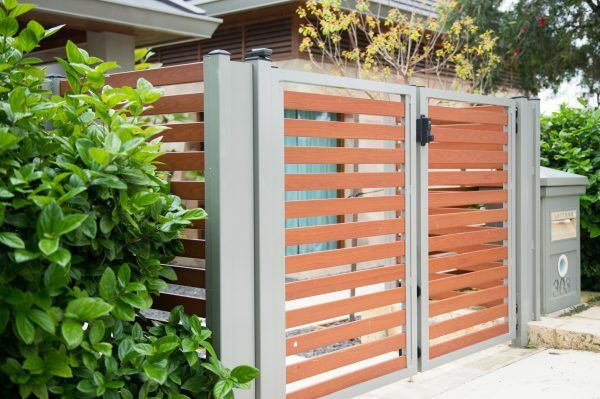 To talk through the style, design and materials that would be right for your project, contact our team today. 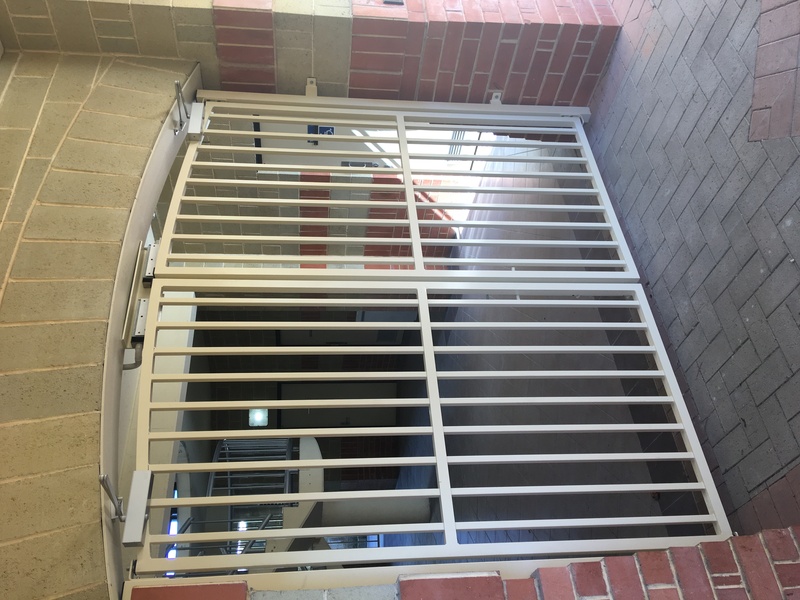 We’d be happy to discuss the types of security gates we can manufacture and install for your home or business in Perth or regional WA. 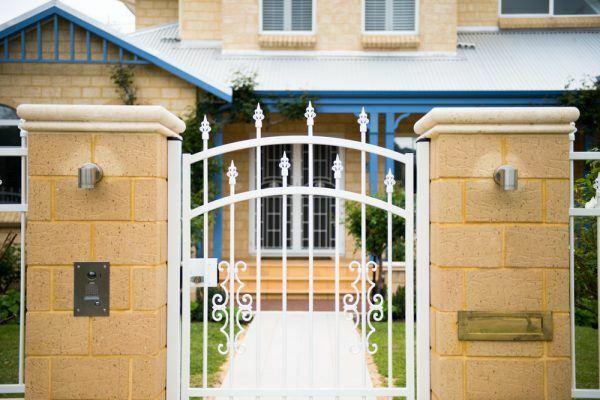 If you already have a good idea of what you want your gate to look like, you’re more than welcome to request a free, no-obligation quote.